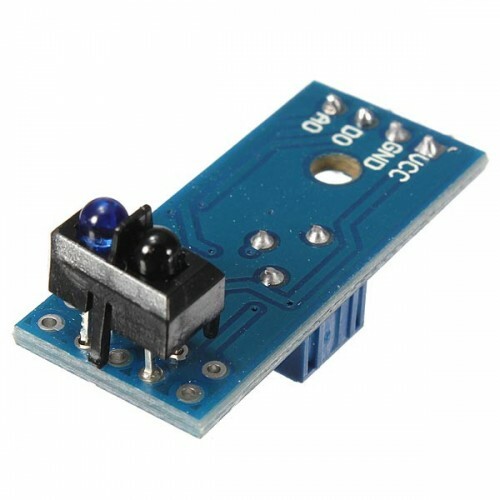 Buy online TCRT5000 Infrared Reflective Sensor Module in India at low cost from DNA Technology, Nashik. This IR reflective sensor Module used TCRT5000 IR Sensor to detect colour and distance. 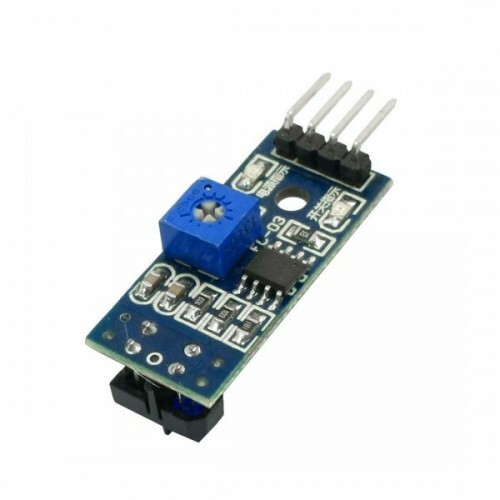 This sensor module consists on an IR transmitter & an IR receiver. IR Transmitter continuously emits IR signal which is then reflected by an obstacle and is then detected by the IR receiver. TCRT5000 Infrared Reflective Sensor Module is often used in line following robots,object sorting Robot because this module can sense if a surface is white or black. The measuring distance range from 1mm to 8mm, and the central point is about 2.5mm. There is also an on-board potentiometer to adjust the sensitivity. The infrared diode will emitting the infrared continually when the module is powered ON, when the emitted infrared light has not been reflected or the strength is not big enough,the receiver diode will in the off state and output pin i.e. DO will be LOW. Designed with reflected infrared sensor, indicator light. 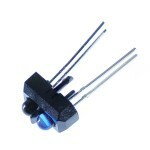 TCRT5000Reflective Optical Sensor with Transistor OutputThe TCRT5000 and TCRT500L are reflective sen..